Yep, they’re at it again! Lots of discounted goodness going on over at these four Defunkd favs. Please give us a shout should you be hosting a sale or notice another vintage t-shirt vendor having one. Wyco has their entire inventory (1500+ items) at 25% off. VRW has all their goods (1700+ items) at 20% off. 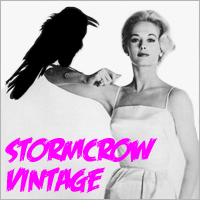 Stormcrow-Vintage has a their fine selection (500+ items) at up to 50% off.